Eversource has always been proud to have a seat on the MetroWest Chamber of Commerce Board of Directors. And as Eversource's Community Relations Representative, I have found this role rewarding and extremely helpful in serving our communities. The Chamber's programs and networking events have provided me the opportunity to meet and build relationships with business, town and state leaders. I'm currently on the Chamber's Public Policy committee which further helps me understand the challenges facing local businesses and in turn, I am able to share important local news with my fellow colleagues. All of this helps facilitate smooth working relationships. I enjoy being the community face of Eversource. We're not just another large company doing business in this region, we proudly take a prominent role in the communities we serve. Eversource is a company focused on delivering reliable energy and superior customer service. And the Chamber helps us achieve this mission. Next Generation Children’s Centers is a family owned and run business, headquartered in the heart of the MetoWest community, with locations throughout Massachusetts. We have been a member of the MetroWest Chamber of Commerce almost since our inception over 20 years ago because of its advocacy agenda for our growing community. Raising the profile of the importance of our MetroWest region and fostering a business friendly area directly benefits our growing company. While we are busy running our business, we know the Chamber is acting as an outstanding ambassador for the region on our behalf. Bay State Savings Bank did not have a presence in the MetroWest area. With my move to Bay State Savings Bank and my participation on the Board, it has given the Bank the opportunity to expand their territory eastward from the Worcester County area. During the Annual Meeting, the SVP and Chief Retail Banking Officer, SVP of Commercial Lending and another commercial lender, had the opportunity to meet and introduce themselves. The Bank also was able to share their brand and name to the attendees with my introduction as the incoming Chair of the Board. Our Commercial Lenders connected with Craig Johnston of R.W.Holmes and planned a meeting going forward. As a chamber member and board member, I have been able to provide banking and financial services to existing members and to make recommendations for connections. Whitney Place Assisted Living Residence in Natick has been a proud chamber member for 18 years. The chamber has helped us grow our business and spread awareness of our services throughout the MetroWest region. The networking opportunities have been extremely valuable. I always make it a point to seek out other chamber members when looking for services. Being a member and corporate sponsor of The Chamber of Metrowest has given our business instant credibility because we are among some of the finest and most innovative global companies including Genzyme, TJX, Bose, Staples and MathWorks. The chamber has created a unique platform to facilitate relationship building and in many cases doors being opened which lead to actual business being transacted amongst its members. It’s truly an honor to be a part of this leading chamber and we look forward to a long-term partnership to grow our business and business in the region together. My company was 10 years old when we joined The MetroWest Chamber of Commerce, that was 17 years ago! My relationship with this Chamber is a staple for TCG Network Services when it comes to marketing, networking, State, Federal and Local Representation and Activist. When a prospect performs due diligence on TCG Network Services, we believe that our reputation, web site, AND our associations play a role in their decision making process. Affiliating and promoting my relationship with one of the very few 5 star ratedChamber of Commerce’s only makes the decision easier for a prospect in becominga client! Absolutely added to my book of business in so many ways. At the heart of the business world thrives a strong ommunity, and the heartbeat of the Metro West business community begins at the Chamber of Commerce. In 2013, the Metro West Chamber of Commerce opened its doors and hearts to Nestle-Poland Spring to begin cultivating a partnership for civil leadership and community out-reach. From day one, the Chamber has welcomed, guided and supported us with open arms. We are proud to serve this Very Best chamber! I’m involved in the Metrowest Chamber for the opportunity to gain access to quality business leaders from the sole practitioner to the CEO of a large corporation. This chamber helps make that happen. "I love the Chamber. 15 years ago they helped start our printing (Freedom Printing) business by connecting us with Middlesex Bank & the SBA to secure a loan. Most recently I used the services of many BOD members to help with the start of our new venture "Putts & More Family Fun Center". Without the chamber it would have been very difficult to have a succesful start-up with either venture!" My membership in the MetroWest Chamber of Commerce has been an extremely rewarding. Their events are enjoyable and always have a wonderful turnout. As an independent business owner, these events provide essential opportunities to network, which have been valuable in raising my profile in the business community. In addition they offer informative workshops that have improved my business skills. 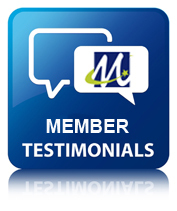 I highly recommend membership in the MetroWest Chamber of Commerce. Taken from a note sent by Patti Legault-Frank to a business counselor referred to The Suites at 550 shortly after joining the MetroWest Chamber of Commerce. This illustrates the Chamber's tag line, "Providing the Power of Connection!" "I just wanted to send a final thank you to you both and to give you an update on our progress. As you know, I had three empty offices and, on February 28th, was adding twelve more from one tenant, and another two from a tenant of twelve years – 17 empty out of 45 offices. Another way to say it was: 38% of our gross income. Here we are less than two months later and we have only four of those offices left. I have even converted our photocopy room into a new rental office and moved the copier into the lounge (it is barely used these days and the lounge still looks stunning!). I am so grateful to you both for your time and counsel; for your willingness to share your wisdom. I am also grateful to the MetroWest Chamber of Commerce for putting us together and I hope when you counsel other businesses you include advice on joining the Chamber. I should have done it decades ago, but so glad I have finally taken advantage of this wonderful resource. Thanks to you and the Chamber for the use of the MetroWest Chamber of Commerce conference room for our recent seminar. At that seminar, we presented a business technology update to a committed group of ten attendees in our first of a series of “Harnessing Technology” sessions. Your facility enabled us to communicate effectively and clearly the important points of succeeding using current technology. We used the Chamber’s internet and Wi-Fi services to illustrate state-of-the-art business interfaces, demonstrating the kinds of capabilities that businesses will need to depend on to be successful. The setting enabled us to serve a light lunch and refreshments while providing the necessary conferencing facilities in a pleasant business setting. Thanks for providing the needed infrastructure to Nelon, Davis & Associates for this important event. Joe Davis, my partner, and I will be back.